By 32 on neutral floor. They have my deepest sympathy, NOT! So you are saying OU would beat us by 40? I’m sure they would. Just enjoyed Marshall’s sour puss on the bench. Btw. D3 Dubuque thumping UNI by 10 with 12 minutes to go. They may get The Yak before we get our shot. The game is passing marshall by. They screwed up letting Jans get away. Last edited by bombay on Sun Dec 09, 2018 12:02 pm, edited 1 time in total. He is having a down year. When have we had an up year? If your idea of an NIt is Comparable to Marshall’s run...that’s not good. My idea? What the hell are you talking about? No need to answer. I don't care. 1.) I don't think Yak comes here if the reason is DM gets fired. Considering DM's contract, that wouldn't be an option for a few years anyway. 2.). As one-sided DM's contract is against the school, UNI has less money to spend on a buyout and more money to pay if they fire Jacobson. It's going to take an angel donor to come forward or at least 2-3 more years before they even talk about a buyout. That would still cost them multi-millions. It is apparent with their non-Con that UNI is trying to get many Jank-like wins. 3.) it will be a down year for the Shox; however, they will win at least 3 of their next 4 heading into the conference season. Considering they aren't in the MVC, they should at least make the NIT. Something that wouldn't happen in the MVC, even with our commissioner on the selection committee. A down year for the shox is the nit. Im being serious. That must be nice. Marshall is a douche but he's a good coach and the game isn't passing him by. A lot of people left all at once. Trasfers, graduates, foregoing eligibility. And, they'll still make the nit with a bare cupboard. Considering how much WSU pays Marshall and what they spend on MBB, would you say they have higher expectations than ISU or really any MVC program? If you're one of the top paid coaches in MBB, regardless of conference, the expectations are likely to finish in th top 60-70 of teams. It may not happen every year, but they want a return on their investment. With his contract, Marshall had all the leverage to get a potentially-budget crippling salary and essentially no buyout. Question...who gets more value out of their athletic program ISU or Wichita State? They both have the same budget of $27,800,000. ISU students/university subside the program in the amount of $19MM and Wichita States comparable subsidy is $7,800,000. 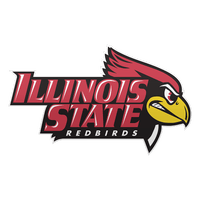 I would vote to dump ISU football in a heart beat to have their bball program profile and conference affiliation but others may feel differently.. I'd drop it too bug some think the chance for a second rate trophy is great. Either move up or get rid of it so you can focus all that money on to basketball. I don’t see getting rid of football after all the $$ that’s been thrown at it in recent years. But it wouldn’t bother me if they did get rid of it. Have to wonder how many women’s programs would fall without men’s football to help pay the bills? Fewer programs, be it mens or womens, would further benefit ISU athletics. Less Athlet Dept overhead and coaches salaries would also lead to fewer but better funded/supported sports. ISU athletic budget makes it difficult, if not impossible, to try and compete in every sport with the major conferences. The fewer sports for ISU the better, IMO. Think how nice the remaining facilities would be if we did not have football and a few other sports. We might stand a chance like Creighton and Wichita State...and possible Loyola if the President/Provost can make it happen. btw I agree I don't see it ever happening absent a monumental sea change at ISU. If we had an extra few million to spend every year where would that go? Paying for a better coach? What else? A better renovation of RBA?